About Hybrid Car Batteries | Why choose the hybrid option? 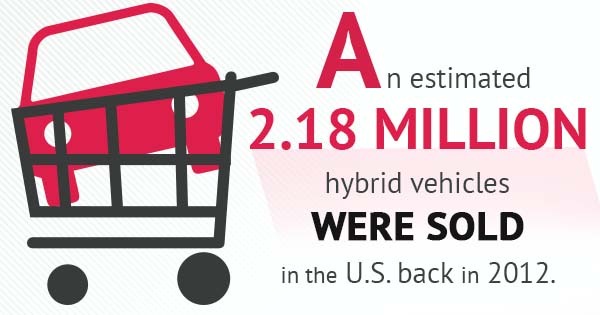 Since their debut, hybrid cars have greatly increased in popularity. An estimated 2.18 million hybrid vehicles were sold in the U.S. back in 2012, and thanks to their eco-conscious, gas-saving design, consumers can’t say enough great things about them. However, before you dive right in and become a proud hybrid owner yourself, there are some important things you should understand. Many people don’t know that the battery in a hybrid car is significantly different than the one in a standard automotive. Here’s what you should know about hybrid cars and hybrid car batteries. The term “hybrid” essentially means “of mixed character.” Anything described as hybrid has a combination of two different elements. In hybrid cars, the mixture lies in the power source: a hybrid car has both an electric motor and a gasoline powered motor.Because hybrids rely on more than one form of onboard energy, the batteries in hybrid cars are exceptionally important. It’s central to the car’s technology and is responsible for the fuel efficiency that hybrids are famous for. The battery powers the electric component that takes the pressure off of the gasoline engine. This allows the car to make a seamless transition between power sources depending on the speed at which you are traveling. Ultimately, this transition is what saves the driver fuel costs and saves the environment from harmful excess fuel emissions by utilizing the electric energy whenever possible. The chemical reactions that happen inside hybrid car batteries are responsible for propelling the vehicle. As a result, there are several different types of batteries currently being used in hybrid vehicles, such as lead batteries, nickel-metal-hydride (NiMH) batteries, and lithium-ion batteries.Most Honda hybrid batteries are NiMH or Li-Ion, which are easily rechargeable and hold large amounts of energy. Depending on the vehicle you purchase, it is imperative to become familiar with the battery under the hood. Understanding which battery your car uses will help you understand how often it needs to be charged, serviced, and replaced. Unfortunately, hybrid technology isn’t invincible: even the best hybrid car batteries need to be replaced. Research reveals that the average lifespan is about six to eight years. Many new hybrid owners are unaware of this, because dealers don’t want to scare away potential buyers. Although they do require replacement, the pros of owning a hybrid typically outweigh the cons. Most importantly, the cost of replacing a battery often pays for itself after years of saving money on fuel costs. If you are new to the world of hybrid vehicles, a trusted battery company can provide you with the information and expertise you need when the time comes to replace the battery in your car. Skip the dealer and call us today for the best in hybrid battery repair or replacement.